You’ve signed the lease to your new place, you have (mostly) everything packed away in labeled boxes, and you have hired a moving company to help you out. The big part of your move is done, but now comes the actual move. The number of times an average American will move in their life is 12, but if this is your first move using moving companies, it’s good to know what you can expect during your move. Moving day can be a chaotic and stressful day, but with these helpful tips from our local movers in Delaware, you can be prepared when the day comes. You have a long day ahead of you, so it’s best to begin it early. Find out when our movers will be at your location and plan to wake up about an hour to an hour and a half before that. You’ll want to have enough time to eat a hearty breakfast and get organized before moving companies come in and take over. You researched moving companies for a reason: to help with the hard part of moving. Sort out what you want our movers in Delaware to handle for you. It’s best to leave things like furniture, heavier boxes, TVs, and other electronics for the professionals. In fact, the items that moving companies handle the most during a move are electronics such as computers, copiers, and other electronic equipment that’s hard to handle. As one of the local moving companies in Newark, we are here to help with your move, so let us know how we can help! Have a game plan ready about the priority of items and communicate if you plan to also be moving things yourself. If you would prefer to handle boxes or items that are fragile, let us know and we will make sure not to move them. All of these things will help to ensure your moving day isn’t too stressful. 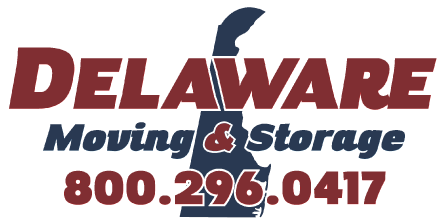 Picking up your entire life and moving it to a new location is never easy, but moving companies like Delaware Moving and Storage will help you tackle your moving day with ease.